I decided to make a brooch with the material I have left after making some modifications to a tank top with lace and canete used to strengthen the lining of the stroller of my “Little Princess”, the leather remained after making the flower brooch months ago and a metal ring not galvanized that a a friend gave to me before throwing it away in the garbage of his company. 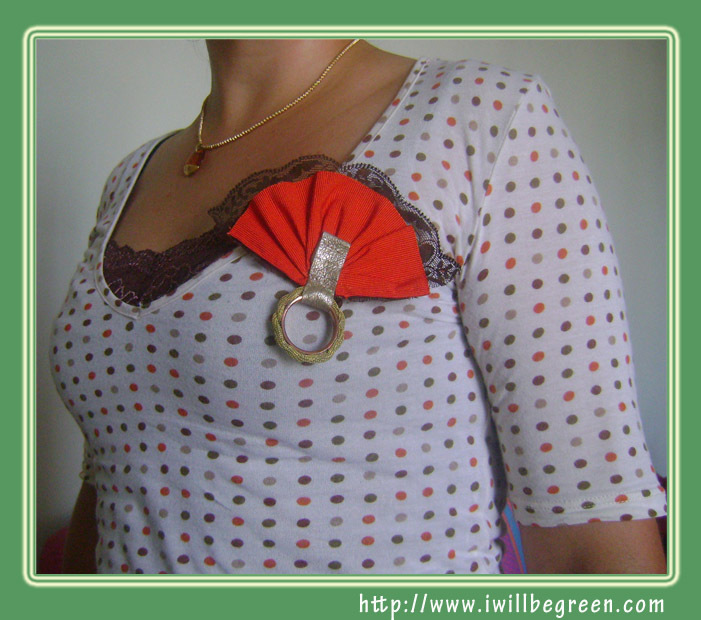 This time a fan brooch!. With this look, I felt a bit ’40’s, like Joan Holloway of Mad Men. To those who follows Mad men, have you seen the beutiful brooches she wears?